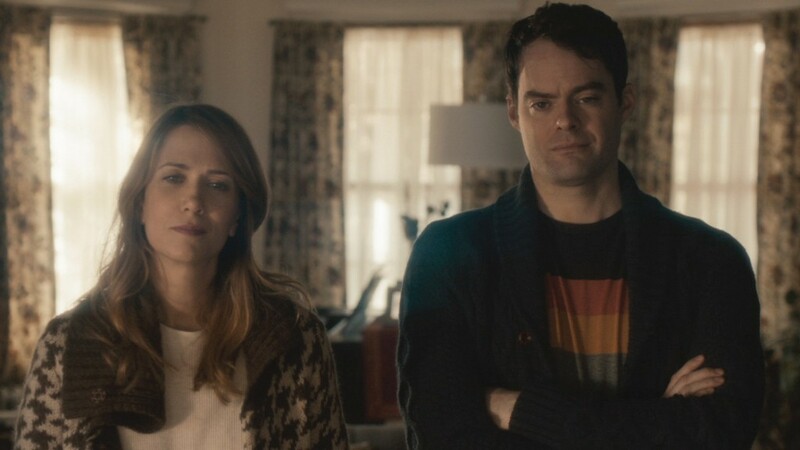 Kristen Wiig’s performance as Maggie is stunning, and I can’t take my eyes off of her sad yet poignant eyes as she tells the world without a sound that she is breaking and needs help.Her gay brother Milo, played brilliantly by Bill Hader, is equally mesmerizing in his pain, and as he comes back home, he does his best to help Maggie pick up the pieces, even if it isn’t orthodox, or right, but as only he knows how. Their family has so many deep and hidden wounds, and instead of dealing with them, the twins pick at them, causing more damage and laughter. They are good at laughing at themselves, and at their situations. It makes you uncomfortable, and yet it feels right.Luke Wilson has a scene stealing performance as Maggie’s husband Lance, and he is a man’s man. He kills it, and genuinely you fall in love with his unencumbered sincerity for everyone around him. I love this movie. LOVE this movie.I hope you all will go see it, and realize that all family is screwed up and yet sometimes, family is just what we need to fix ourselves. I give this five out of five stars, and know you will too! This entry was posted on Friday, September 19th, 2014 at 10:03 am	and is filed under Film, News. You can follow any responses to this entry through the RSS 2.0 feed. You can skip to the end and leave a response. Pinging is currently not allowed. « ‘CSI: Cyber’ Looks To 90’s TV For New Character!! !